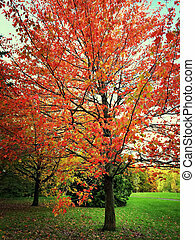 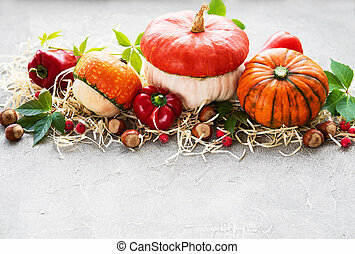 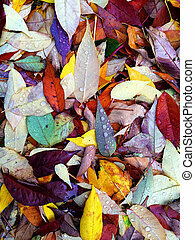 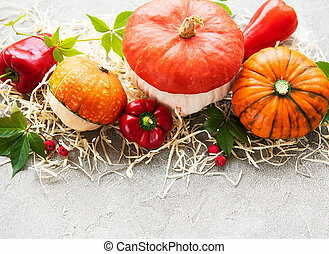 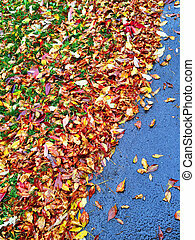 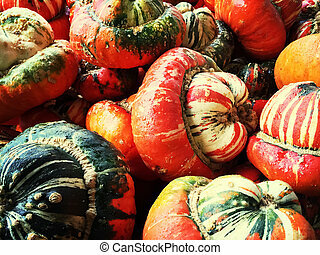 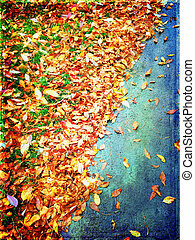 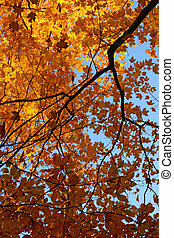 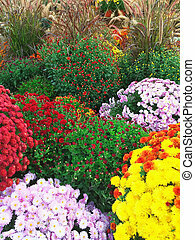 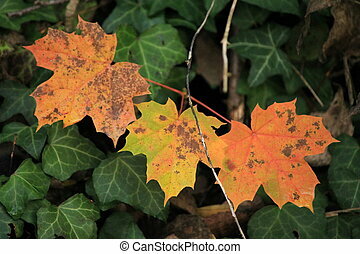 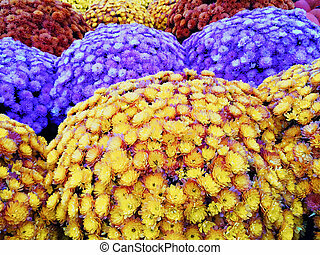 Colorful autumn squashes. 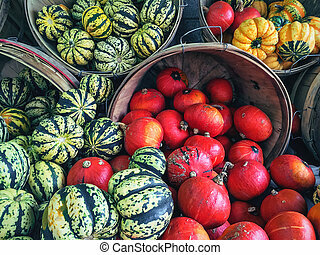 Colorful autumn vegetables at the autumn market. 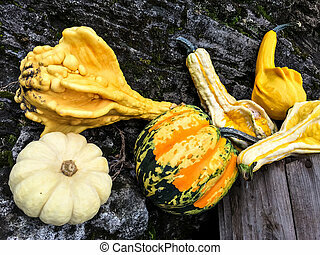 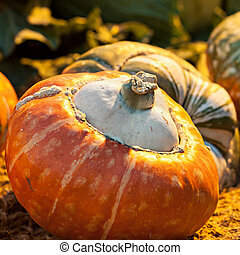 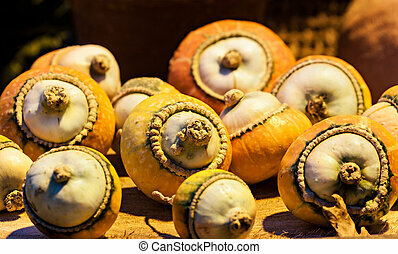 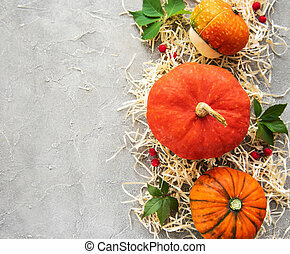 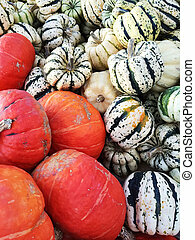 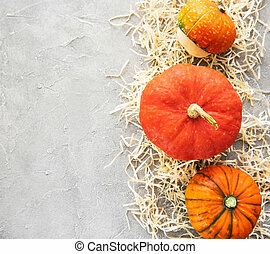 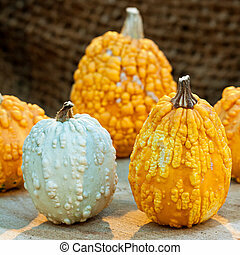 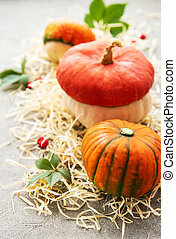 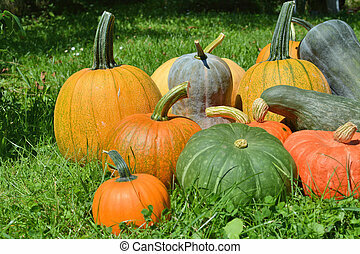 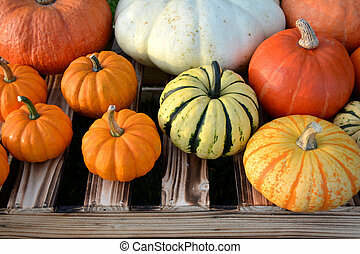 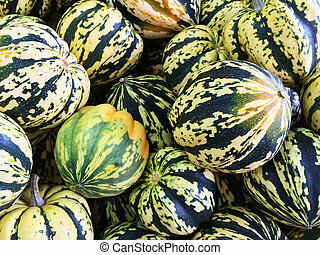 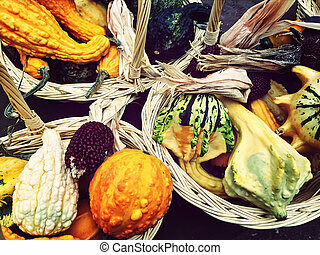 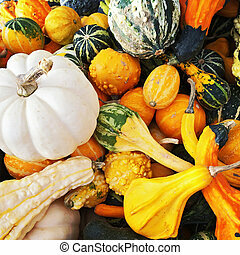 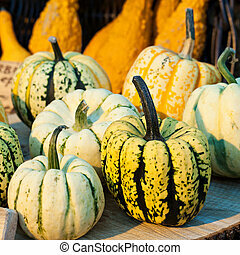 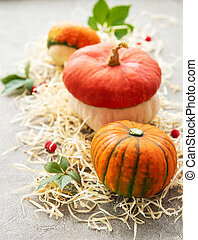 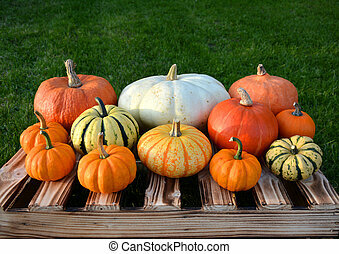 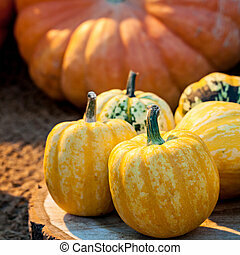 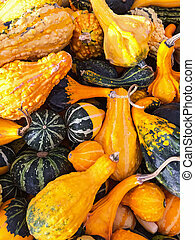 variety of squashes. 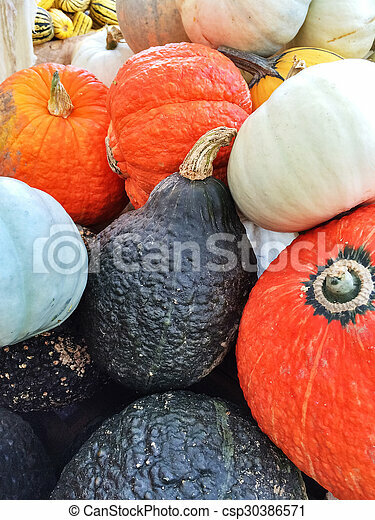 Seasonal decorative autumn colorful pumpkins.